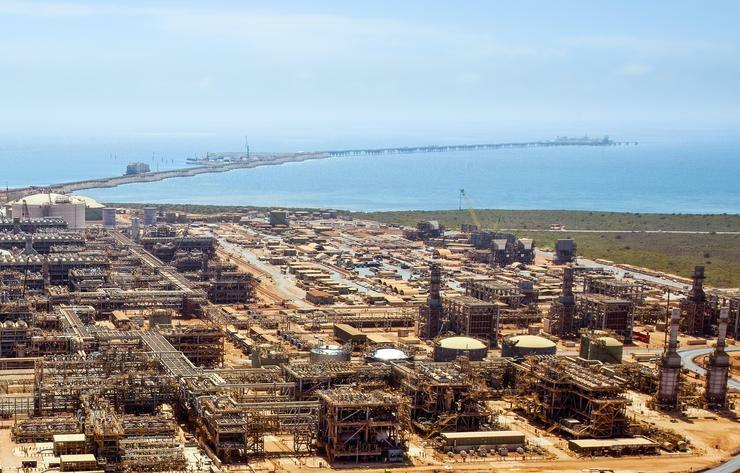 Australian tech company and Microsoft partner, Track’em, is tapping into Azure to help keep track of things at one of the world’s largest natural gas processing sites, Chevron’s enormous Gorgon liquified natural gas plant on Barrow Island, 50 kilometres off the Pilbara coast of Western Australia. The Perth-based company, which integrated its technology with the Microsoft Azure IoT Hub earlier this year after migrating to the Azure platform in 2014, provides end-to-end tracking solutions, including software-as-a-service (SaaS), hardware integration, and ongoing support. Track’em was engaged by Chevron engineering and construction services contractor, Ertech, to help it keep track of thousands of items at the site in real-time. The move was prompted largely by the environmental regulations placed on operators working at the Barrow Island site, which was designated as a nature reserve in 1910 in recognition of its unique flora and fauna. Part of the conditions for the Gorgon LNP plant project are rigorous controls, particularly to ensure that materials brought to the island have minimal impact, while anything removed from the island needs to be dealt with in an environmentally responsible manner. The standards Ertech has to adhere to in its efforts to rein in potential environmental impacts at the site and keep non indigenous species off the island, effectively means the company has to manage its inventory of thousands of pieces of equipment, including trucks, plant and equipment, and waste containers. “If we misplace any equipment it has the potential to shut down the entire natural gas plant and that can cost millions of dollars a day,” Ertech executive chairman, Gavin Miller, said. One of the practical outcomes of these conditions is that, due to the quarantine regulations, all equipment arrives on the site in parts, and is shrink-wrapped to protect against contamination of the island ecosystem. Equipment is then put together onsite. This is where Track’em comes in. Using handheld scanners and, sometimes, drones, to scan and track equipment, the Track’em technology identifies what parts have arrived and where they are located. According to Track’em founder and CEO, Kashif Saleem, his solution can help save Ertech operational costs and avoid bottlenecks that can potentially shut down Chevron operations at the site. “I have the Track’em dashboard – this is where I can get a view of all our equipment on the island from large earth moving equipment such as excavators, rock-breakers and loaders to bulk items like hand tools on the island – even down to nuts and bolts,” Miller said. Track’em uses a mix of barcodes, GPS and radio-frequency identification technology to keep track of these items. The core technology provides real-time analytics and key performance indicators using Microsoft’s Power BI dashboard, which provides visibility of assets and quick and accurate management reporting. The company has also developed associated offerings, such as Time’em, to track employee time, tasks and productivity, Store’em, designed for warehouse inventory management, and Track’em Live, a supply chain management tool for shipping. According to Saleem, who spoke at the Microsoft Summit event in Sydney on 13 November, the move to migrate Track’em to Azure in 2014 was a “game-changer” for the company, providing a more efficient, agile platform for the technology than what it had used previously. Saleem also said that the move has also given the company the geographic reach needed to support the business in remote areas such as Barrow Island, and will likely underpin Track’em’s ambitions to expand globally, starting with the United States market. “Azure gives us the flexibility to fire up a virtual machine or service in minutes not weeks – it helps to pivot when we need to and persevere when we need to,” Saleem said.